Their ground game has disappeared, Sam Darnold’s completion percentage continues to shrink and their false start penalties are on the rise. Offensive coordinator Jeremy Bates’ unit is looking to bounce back and break out Sunday against the Dolphins. But Bates, repeating Bowles' words, saying Chicago “played harder” than the Jets might light a little extra fire within the offense. 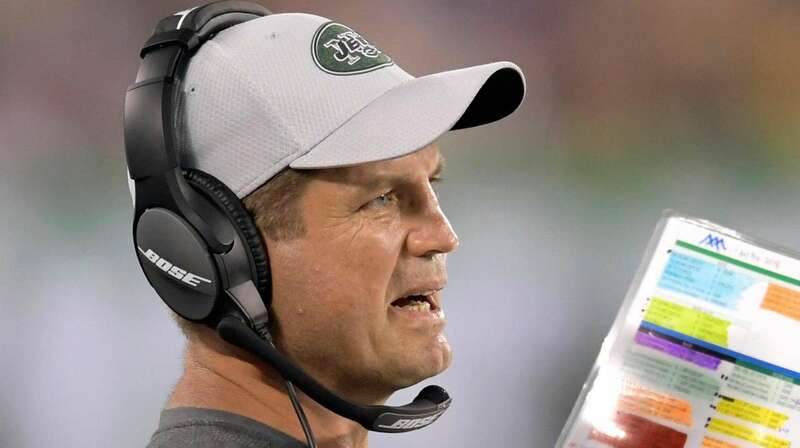 Darnold threw three interceptions, and the Jets didn’t convert their first third down until there were about four minutes left in the third quarter. Injuries to starting running back Bilal Powell and Darnold’s top two receiving targets Quincy Enunwa and Robby Anderson certainly have had an impact.